Annuals are flowers as with flames that burn twice as bright. Although they don’t last long, they are cheerful, colourful and provide a splash of the tropical in the northern climes of Canada. Imagine living your entire lifespan in one growing season. That is the fast forward existence of the annual flower, dead with the first killing frost. As a family of plants that live fast and hard, annuals do so spectacularly. With the following tips and tricks, you can keep the intense beauty of your annual flowers burning until the days grow short. Mirage Landscaping of Calgary is a reliable and respected landscaping design, construction and full-service commercial and residential maintenance firm. Deadheading is the term used for removing dead and or dying flowers from a bloomed annual flowering plant. Think of deadheading as a trick that exploits the biological need of the plant. Annuals have just one goal—grow to maturity is order to successfully reproduce. In order to fulfill this mission in the most expeditious manner possible, the annual grows to rapid maturity and spread open its flowers for pollinating agents, be it insects, birds, or the wind, to aid the plant in the exchange of genetic information that will eventually be encased in seed as the final product of the annual’s reproductive cycle. Once the flower has served its purpose as a visual and scented attractant, or looses its genetic material to summer breezes, it begins to die off. Although the flowers look dead, they are merely performing a second role for the plant—to develop and store the seed that will one day strike the ground either through animal consumption, or mere random seed distribution near the site of the parent annual when it dies. The formation of seed is a resource intensive for the annual flowering plant. The activity seems to sap the entire remainder of the plant’s vitality. In fact, in many species, it is the formation of durable seeds, ones that can survive the digestive tracts of animals, or winter-long exposure to the elements, that all but kills the plant through the effort to form them. Deadheading is the practice of fooling the annual plant into delaying seed production in favour of new flower production by making the plant react to the loss of its fledgling seed warehouses. It is not pinching the dying flowers off at random. Pinching is a different technique used to keep a flowering annual or shrub looking its best when no more blooms are forthcoming. Deadheading requires sharp scissors or shears and careful targeting of where to cut. On many annual species, the goal is to cut off the dying flower just above where a newer, undeveloped, “back up bud” can be found. Other species require the entire removal of the stem to encourage a new starter. Yet other species will not respond to deadheading at all. Research your particular annual carefully for best results. If the annual responds to deadheading, here is why: The cut flower is responded to by the annual as a “reproductive crisis.” Rather than devoting energies for seed production, you, the gardener, have taken the annual back to step one in the process, the need for flowers to attract pollinators or receive wind blown pollen in a crash effort to create more seed before it is too late to reproduce. On a further note, plant breeders have been trying to develop varieties of common flowering plants and shrubs that hold or develop blooms longer. Many of these types are hallmarked by their sterility. What this means is that the plant never reaches seed development. The plant somehow senses this lack of seed and continues to devote its energy to flowering to develop seeds, which will never form. Some of the flowers will still wilt or die, but deadheading them will not trick a plant that already is programmed to never develop seed. 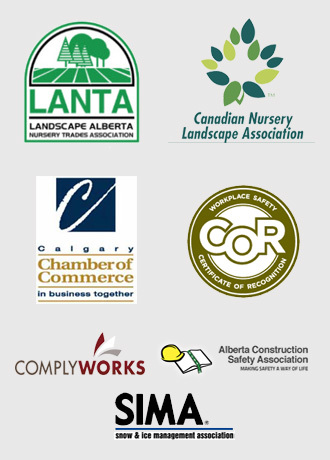 With over three generations in the industry, Mirage Landscaping of Calgary has extensive experience to draw upon. We know what grows best throughout the city. 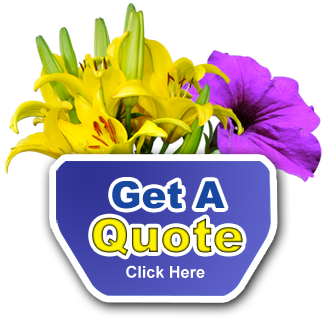 If you want to stay in bloom, contact us for a free quote.